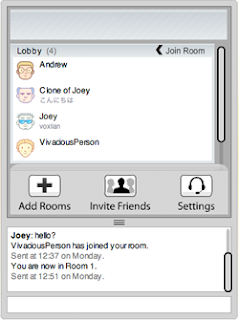 Voxli allows gamers and team members to visit a static persistent URL to join a group chat session, and features push-to-talk using a browser plugin. Voxli is available on Internet Explorer and Firefox (both Mac and Windows) with support for more browsers on the way. To use Voxli, users assign a hotkey to their chat room which they press whenever they want to speak in-game (the hot key works regardless of which application is open). The system supports up to 200 simultaneous users per room, and gamers can open new tabs if they’d like to participate in multiple chats at once (they can assign a different hot key to each room).